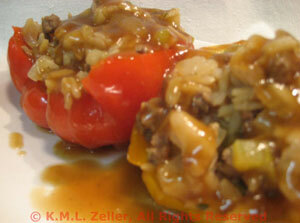 Stuffed Bell Peppers, Oriental Style, Thyme for Cooking gourmet menus. This will be the last of the stuffed vegetables of the season. The holidays are coming; we're well into winter cooking.